The distinctive design of the Alto range from Ideal Standard has many innovative features that you’d expect from a luxury bathroom range – yet at an affordable price. 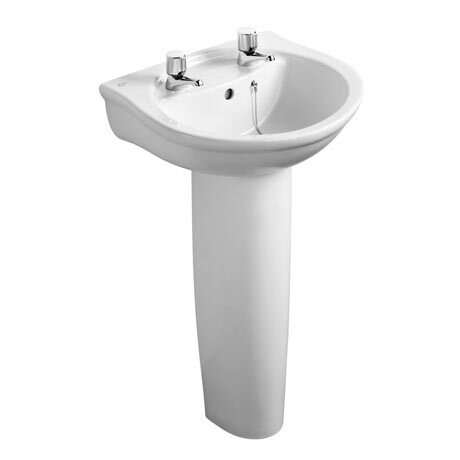 This basin and pedestal is manufactured using high quality vitreous china and features two tap holes, overflow and chainstay hole. Available in two size options.